We hold a high standard for discussion in the community areas of our site (including the Forums, Looking for Group system, and Wiki), beyond our Terms of Service. By choosing to participate in the community here, you are expected to abide by the guidelines outlined below. This is our community, and as stewards of it, we have an obligation to promote a healthy and positive discourse. 1.2.1 What is a suspension or ban? Welcome to Roll20! These forums are available as a helpful and friendly place to discuss the Roll20 program, answer questions, and provide assistance to the community. In order to ensure Roll20 remains a welcoming environment for everyone, we ask that all participants treat others with respect, courtesy, and civility. At Roll20, everyone is welcome at the table. The policies below provide guidelines of what is expected from all community members using public areas of Roll20. Note that these rules are not comprehensive and do not address all manner of offensive behavior. As such, moderators shall investigate any behavior reported or deemed inappropriate. The Roll20 Forums exist to discuss topics directly relating to the Roll20 program and systems. Anything that could more fittingly be discussed on another site should be discussed there. Infringement of this section is subject to moderation action as outlined by the Moderation Policy. Above provides the typical course of action from first offense to multiple offenses. However, action taken may be more lenient or severe depending on the seriousness of the violation and user history. What is a suspension or ban? A suspension is a temporary restriction from the public areas of Roll20. A ban is a permanent restriction from the public areas of Roll20. This does not prevent access to one's games, game forums, uploaded or purchased material, or viewership of the Roll20 site. Any attempt to circumvent a ban by posting on another account or having an external party post on one's behalf, will result in all involved being subject to a suspension or ban. If you have questions or intend to appeal moderation action that has occurred, please contact Roll20 directly at Team@Roll20.net. Be sure to include any relevant information (URLs, screenshots, etc.). We will reply to your questions (barring information which may infringe on the privacy of another user) as soon as we can. 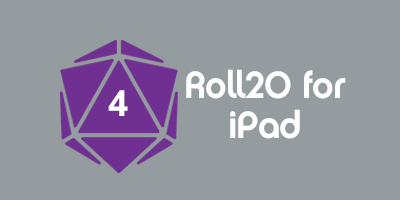 Roll20 holds a zero-tolerance policy regarding discrimination and harassment. Bullying, discrimination, or harassment of any user or group (either in clear or coded language, or through links or images) is unacceptable and will not be tolerated. †Only available to Pro subscribers. We ask that users refrain from posting links, promoting, fundraising, or soliciting outside advertising or sales. If you have additional questions or believe your post to have a strong interest to the community, please contact us directly at Team@Roll20.net. The only official sources of information regarding Roll20 comes directly from those marked as members of the Roll20 Team and the Mod Team. Attempting to impersonate the Roll20 Team or Moderators is prohibited. Additionally, the Roll20 Team and the Mod Team are the only entities which should be performing moderating duties. If you believe a user is violating the Code of Conduct or Terms of Service, please refrain from replying and take advantage of the Report feature so that our moderation team can handle the situation-- do not try to take the matter into your own hands. Creating posts or threads intended to discuss or debate moderation action against a user or group Publicly fighting against or disregarding public moderation statements Posting chat logs, emails, or private messages If you have questions regarding moderation action, please contact Roll20 directly at Team@Roll20.net and we will reply to your questions (barring information which may infringe on the privacy of another user) as soon as we can. Welcome to Roll20! We have some guidelines in addition to our Code of Conduct so that we can keep things tidy and friendly, please be sure to follow the rules below for both forum posts and listings in the LFG tool. Please unde1rstand that many of these guidelines require your best judgement, so please be respectful. If you are not sure, please refrain from posting and email us directly at Team@Roll20.net outlining any questions you may have and we will reply as soon as we can. †You may share this content in private (i.e. game details page, game forums, or sent via private message). Infringement of this section is subject to moderation action as outlined by the Moderation Policy in the Roll20 Code of Conduct. All Looking for Group postings and listings should be in the spirit of inclusion as opposed to exclusion. This will allow you to best attract the gaming group you wish to play with instead of attempting to repel those you don't. Additionally, we ask that you refrain from creating a post seeking someone of a specific different background (such as creed, disability, gender, orientation, race, etc.) than yourself. While we appreciate a desire for inclusion, such posts specifically targeting a group becomes an issue of tokenism-- looking to fill a spot with someone removed of their individuality save for that specific descriptor. Any attempt to discourage others from playing through the use of bullying, discrimination, or harassment, is subject to the same moderation actions as outlined in the Discrimination and Harassment section of the Code of Conduct. This game will require payment to the Game Master at a rate of < to be filled with a description of your method, amount, and frequency of payment >. Roll20 is not responsible for any payment transactions and cannot enforce any private arrangements. This game encourages tipping the Game Master at a rate of < to be filled with a description of your method, amount, and frequency of payment >. Roll20 is not responsible for any payment transactions and cannot enforce any private arrangements. This game encourages payment to the Game Master at a rate of < to be filled with a description of your method, amount, and frequency of payment including any price changing factors>. Roll20 is not responsible for any payment transactions and cannot enforce any private arrangements. Infringement of this section is subject to moderation action as outlined by the Moderation Policy in the Roll20 Code of Conduct. This page was last modified on 25 October 2018, at 19:17. This page has been accessed 28,386 times.